As New Jersey Governor Chris Christie takes the lead in crafting the Trump administration’s response to the opioid crisis, he and his colleagues need to understand that we can’t fix the problem until we kick our long-term addiction to the war on drugs and accept overdoses for what they are: a health issue. Although the majority of Americans who consume illicit drugs do so without addiction, opioid overdose has become a deadly reality. Every day, 120 to 140 people in the US die from drug overdoses, more than from gunshot wounds or car accidents. About 90 of these are due to opioids. A growing number of Americans believe that drug misuse is a health problem. Yet we continue to rely on law enforcement and the criminal justice system to deal with it, despite resounding evidence that punishment does not stop people from misusing drugs. Hefty penalties for the possession or sale of drugs have been on the books for decades. They have done little to reduce the use of illicit substances, but have instead led to out-of-control incarceration, deprived communities, and wasted public resources. Expecting the criminal justice system to solve a health crisis does more harm than good. For example, many jurisdictions are still reluctant to distribute naloxone — a lifesaving antidote to opioid overdose — to drug users and their families and friends. Instead, they limit its distribution to police officers and first responders. Police who carry naloxone can save lives, even though basic emergency medical technicians along with family members and friends of people who use drugs are more likely to be present and able to respond immediately to an overdose. Treating law enforcement as the primary responder to overdoses encourages punitive responses, like charging overdose survivors and bystanders with drug possession and other offenses. One town in Ohio has even started penalizing survivors with a misdemeanor charge of “inciting panic” — punishable by up to 180 days in jail and a $1,000 fine — after saving them with naloxone. These penalties discourage people from calling for help when someone around them is overdosing and will likely cause more deaths than they prevent. The widespread adoption of drug courts — praised by former US Attorney General Eric Holder as a way to “strengthen public health and build stronger, safer communities” — is a similarly flawed solution. While some people have found help through drug courts, many of them rely on judges, not doctors, to make decisions about treatment. Drug courts often require total abstinence as a one-size-fits-all solution, sometimes ordering people off of medications like methadone or buprenorphine that are helping them reduce their reliance on heroin. Drug courts can also push people into the treatment system who aren’t dependent on drugs. People for whom drug-court-ordered treatments don’t work are then punished and pushed back into the criminal justice system, often with harsher prison sentences than they would have received in the first place. There’s a better way. It’s called harm reduction. This approach focuses on reducing the negative effects of drug use rather than on punishing people who use drugs in an often-futile attempt to make them stop. Harm reduction options like supervised injection facilities or drug consumption rooms have successfully prevented fatal overdoses and connected people to treatment in cities such as Vancouver, Sydney, Amsterdam, Barcelona, and Zurich; there are 74 official drug consumption facilities in Europe alone. 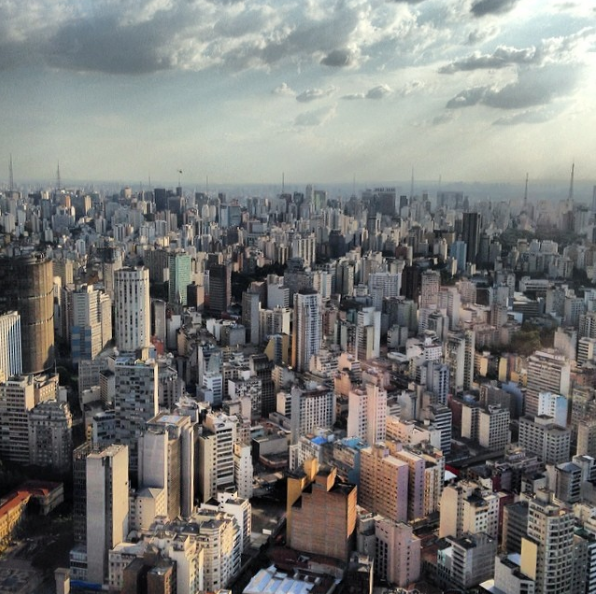 Through its Open Arms program, São Paulo successfully provides housing, job training, drug treatment, and social services to people who use drugs without demanding abstinence. Switzerland, Germany, the Netherlands, and Denmark all permit doctors to legally prescribe medical heroin to longtime users who have failed other treatments. These are just a few examples of countless projects around the world that provide holistic harm reduction services. Law enforcement can play an important role in harm reduction. In fact, police can respond more effectively when they put health first. In Seattle, the Law Enforcement Assisted Diversion (LEAD) program lets police officers divert users and low-level dealers to harm reduction services instead of sending them to court and jail. That approach is catching on in cities across the country, including Santa Fe, N.M.; Albany, N.Y.; Baltimore; and Atlanta. University of Washington researchers found that LEAD in Seattle decreased recidivism by nearly 60 percent, and saved millions of dollars. LEAD participants were also significantly more likely to obtain housing, employment, and legitimate income. In Vancouver, Canada, police have urged drug users to use the city’s supervised injection facility, Insite, to prevent overdoses. In countries as diverse as Kyrgyzstan, Kenya, and Moldova, police have developed operational guidelines to respect the human rights of people who use drugs and advance public health goals like HIV prevention. If we are serious about preventing overdoses and reducing the harm associated with substance misuse in the US, similar programs should be created here. We need solutions that meet people where they are, treat them as human beings, and provide evidence-based services to help them make necessary changes to lead healthier and safer lives. That means providing tools and services directly to drug users and their families and friends, and supporting frontline responses by health and social service providers. We need harm reduction options based on evidence, public health, and a respect for human rights. Above all, we need to kick our harmful and ineffective addiction to punishment — so police, health providers, and people who use drugs can work together to save and transform lives. *Originally published by STAT News on April 25, 2017.